AN ADDRESS WITH PRESTIGE! 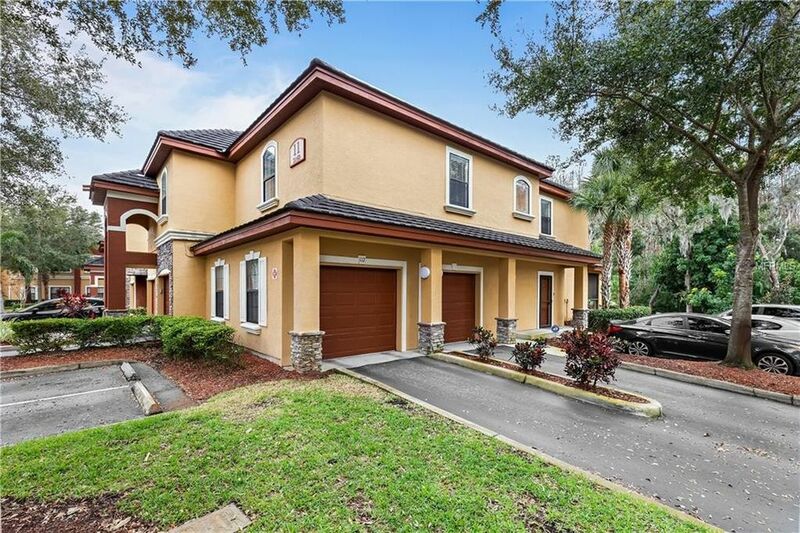 Rare opportunity to own one of the few 4BR/3.5BA/2 Car garage townhomes in Tuscany of Innisbrook!High profile, gated community with resort style amenities that allow you to play where you live! Splash in the pools; relax in the spa; compete on the tennis courts; shape up in the fitness center; cook your burgers & dogs at the grill/picnic areas; pedal your bike with the kids to the playground; bring the popcorn to the movie theater; shoot some hoops; rack & play billiards; party at the clubhouse; schedule a meeting in the business center; sign up for pickleball; suds up your wheels at the car wash; reserve the rental apartment for your company or walk over to the world renowned Innisbrook Resort & Golf Course for other optional memberships. End unit floor plan makes for easy living with the master suite on main level & your 3 additional bedrooms upstairs to accommodate family & guests. Sip your favorite drinks on the porch with picturesque privacy - no neighbors behind! Complete remodel done with quality & flair! New paint, tile & carpet throughout; all closet doors replaced & framed; blinds, ceiling fans & lights all redone. Bathrooms upgraded with new higher toilets, vanities, mirrors, tubs/showers. Kitchen floorplan changed to be functional & open - now boasting granite, black stainless steel appliances, ceramic sink, soft close cabinets. New front door, ADT system added & the porch sports a new wood ceiling. All impressive! Love where you live!! Directions: Belcher Road (north of Alderman); West on Innisbrook Drive; first Left into Tuscany; through guard gate; turn Right; turn Left to Bldg 11 - on your right, end unit - #117; parking in front of townhome. Furnishings available.